Cyberdimension Neptunia is an Action RPG somewhat akin to Tales, though battles take place entirely on the map instead of separate in-battle sequences. It is not anything like Blanc vs Zombies, please stop saying that. The theme of 4GO, other than the MMO, is ‘change’. This is by far the biggest shakeup in a major Neptunia title (I don’t call it a side game personally, it’s too big and too polished). From the music to the world theming to the gameplay almost everything is done from the ground up and it’s easily got the least reused content in any neptunia title (even counting the first, which actually reused assets from non-Neptunia games!). So expect old knowledge to not necessarily hold true. Cyberdimension Neptunia is progressed almost entirely by completing quests, so take all quests and complete every one you can before thinking you’re stuck. Even minor fetch/kill quests are usually required for Rank Up, which is the primary way the story is progressed. As your Guild Rank increases you can take more quests and buy more items in most of the stores. Unlike most Neptunia games you’ll have your full party almost immediately, starting off with the four main CPUs and getting the CPU Candidates soon after. It’s a very low stress game as there’s no worrying if party members are temporary, game overs no longer exist (you just warp back to town), and it autosaves now too. There is a multiplayer segment but it’s actually totally separate from the main game: there are special multiplayer only quests. With proper overleveling, you can even solo many multiplayer quests, so don’t worry much if you don’t have other players. 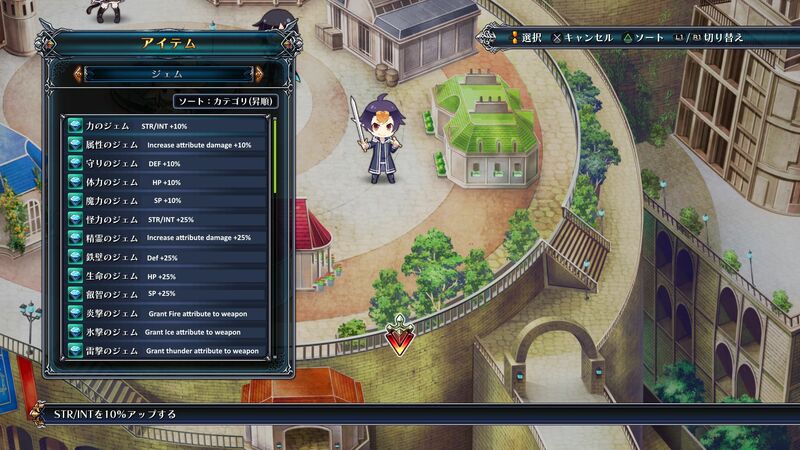 Note Cyberdimension Neptunia does autosave (with an optional manual save at the cathedral) and only has one save file. You’ll need to copy your save to a USB drive if you need to go backwards for some reason, but unlike most Neptunia games, there’s no missable content so there’s not much reason to need this. Since the theme of the game is Change, not everyone plays like you might expect them to. Of note is that no characters are really drastically weaker/less useful/specialized. You can really form a party of whoever you want, though it’s good to have at least one person with a full party heal (Neptune, Vert, or Blanc). Being a Paladin, Neptune has a mix of skills from melee ones (her forte) to magic and even a full party heal! Her INT isn’t very high (quelle surprise) so her magic isn’t actually that amazing, but having a tanky melee unit with a heal is legit. Noire is slightly “glass cannon” as a Dark Knight with relatively low Defense (but not nearly as bad as Rom/Ram in the turn based games) but very high STR. She has nice wide range melee skills and is pretty easy to use. Noire is a bit more effective on normal enemies than bosses since she tends to have wide-swing, low hit count attacks. As an Enchanter, Vert is an impressively effective Jack of All Trades with support magic that adds an element and buff to the whole party, a light full-party heal just like Neptune, and pretty good magic and physical skills as well. Unlike Neptune she has balanced STR and INT meaning both are effective, though I personally find STR attacks far easier to use. Note you can stack the Buff effect from her elemental enchantment, so you can say cast Ice Weapon to get the defense buff, then cast Fire Weapon to get the attack buff. The element will be overwritten but both stat buffs will stay (multiple buffs of the same kind do not stack). Cyberdimension Neptuniadoesn’t have elemental resistance, so enchanting is almost always a good idea; extra damage if they’re weak, no less damage if they’re not! Vert’s a pretty good pick for the character you play as, since you get access to the heal and get to decide what element the rest of your party will be buffed with. Unlike too many other games, being a support class doesn’t make her any less fun or effective in regular combat. A Healer with some magic to go along with it, Blanc has the best healing skills and can heal more than 30% unlike Neptune and Vert’s AOE heals. She also has some support skills mirroring Vert’s but without the element change. NPC Blanc, as NPC healers often are, isn’t really the best at topping off everyone’s health so you might want to switch to her quickly to cast a heal manually once in a while, or ensure that more than one NPC in your party has a heal spell so you don’t expect a heal that never comes (Neptune, Vert, or Blanc all have them). NPC Blanc also has a bad habit of getting KO’d, so make sure to stock her with defensive items. INT/STR doesn’t matter for heals anyway. Nepgear is a Witch and thus 100% Magic focused. Low level magic can be spammed just like her normal attack, and higher level magic has a windup but does very significant amounts of Break damage. I find her a bit less fun to use, but having at least one Break focused character is very good for bosses. Nepgear’s usefulness raises significantly once you get the fourth tier of spells, which auto-target at long range and deal very high Break damage. 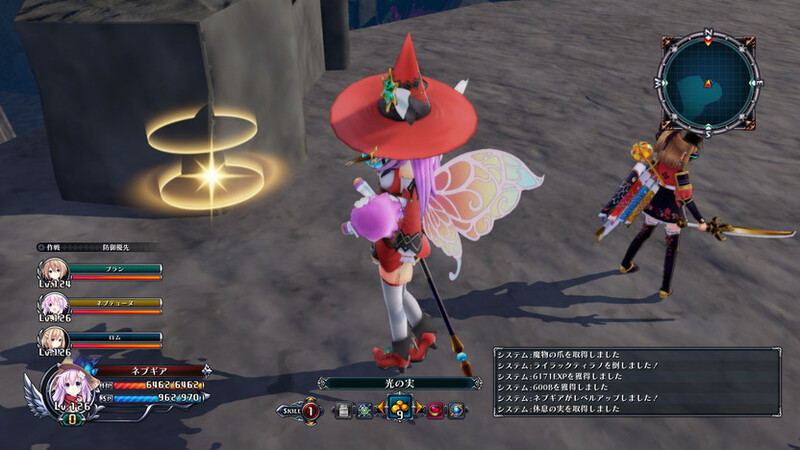 Nepgear becomes significantly more effective if you exploit the ability to cancel attacks into guards; by spamming the Attack and Guard buttons you can fire regular attacks at a far faster rate. It affects other characters too but is mostly effective for Nepgear. Uni is a Gunslinger with lots of long ranged and elemental attacks. She’s pretty fun to play and gets to keep a mostly safe distance making her good support DPS. She’s somewhat like a physical version of Nepgear. She regains SP quickly due to vaster than average attacks. 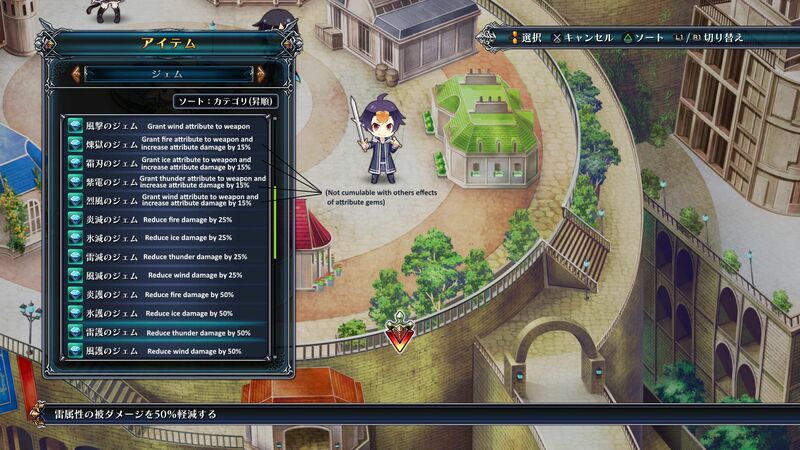 Uni moves forward a bit during normal grounded physical attacks, which can be dangerous as a gunslinger. You can instead jump and keep shooting (all melees can be performed in the air) which negates the forward momentum helping you manage your position better. Uni’s Element Shot is an inordinately good, inordinately early skill she has that, while it doesn’t…actually…have an element, does very high damage and Break damage. It’s a great move to spam at bosses once their guard is broken. Uni can keep her dodging momentum even while attacking as long as she’s locked on, try it out. Note ALL characters can cancel dodges into attacks, but Uni’s unique in not interrupting her dodge. Rom is a Samurai now and is the complete opposite of her normal self, having very high physical attack, no magic to speak of, and good physical skills. She doesn’t have amazing defense though. She has a self-only attack/defense buff. Ram is a Ninja, and is pretty similar to Neptune having both Physical and (weaker) magical attacks as well. She has an interesting half-ranged play style that keeps her different enough from Neptune and Vert. The goddesses eventually join your party, and they’re based off their turn based RPG forms from the main series all the way down to the stats. They’re a bit boring compared to the main cast and their totally new classes, but also extremely effective all-arounders with a variety of physical skills but no support moves between the whole lot. They’re more fun to play as personally than to have as NPCs due to the lack of support. The goddesses all come bearing the highest tier elemental magic for all four elements. They start off with two physical skills but rapidly learn several more for a variety of purposes. While they’re not all focused on magic, the tier 4 magic skills are extremely effective at dealing Guard Break damage, so I leave at least one spell in everyone’s rotation. Purple Heart is your typical all-arounder, having balanced attack and magic, except unlike in the main games her decent magic stat is not completely useless for once! She has wide sweeping and moderately fast swings. Black Heart, sort of like the main games, doesn’t play all that different from Purple Heart. Wide, high power sword swings with higher physical power relative to her magical power. Green Heart is the most unique of the goddesses, her extreme speed taking the form of lower damage but higher frequency attacks; her normal attacks hit several times per button press while still doing respectable damage overall. More importantly she rapidly recovers SP due to her hit count even against single targets, giving her a lot more opportunity to cast skills. Green Heart’s status as the only magic user among the CPUs is echoed here, having the strongest INT stat and dealing the most damage with magic. This is mostly useful for normal enemies which will take extreme damage if you use an elemental attack they’re weak to. Despite what you might expect, her physical skills are still very strong. For bosses you’ll usually want to break their guard spamming magic from a distance then rush in close to spam physical skills to do the most DPS. As one might expect of an Axe user, White Heart has wide, slow swings good for lots of enemies. Her very low INT stat from the main games returns, making her magic of little use except for dealing Break damage (which is really what it’s best used for anyway, so not a big deal). Wasn’t sure what to call this section, but there’s a few unexpected things to note with how certain menus work. 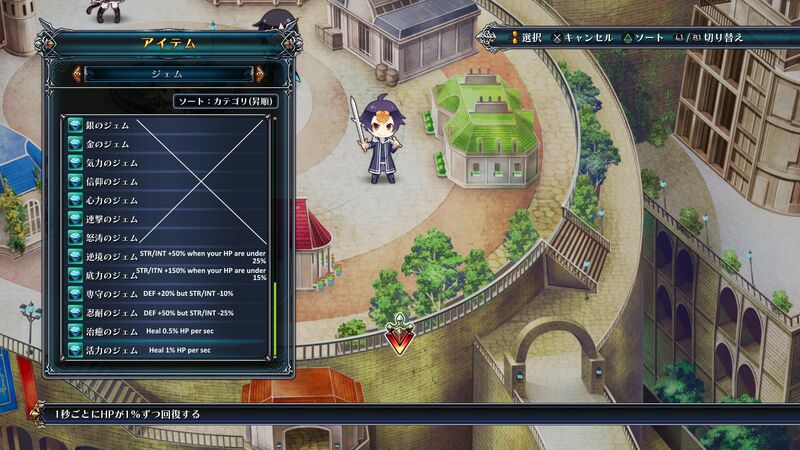 Just like an MMO, Cyberdimension Neptunia continues if you’re in a menu, even if the HOme button is pressed. If you need to “pause” go somewhere without enemies. You can’t actually use items directly from the menu, so you’ll have to manually equip items like Return Scrolls and Permanent Stat Boost items to use them. Since Cyberdimension doesn’t pause in menus it’s best to use them away from enemies. ‘Camera Direction’ means whether to use dramatic camera angles while doing an EXE drive attack. No harm in leaving it on since you can’t move during them anyway. I don’t have a full inventory in English yet, so here’s the translated Japanese lists for now. Thanks a ton to Azure Valkyrie for providing the translations! Shows all Treasure and Gather Points on the minimap. Press start to see the whole map. Gems are basically accessories providing a wide variety of percentage-based effects. You can equip up to three, but you can’t equip more than 1 of the same exact type; you can stack most similar effects though. Since there’s 12 characters, you should only need at most 12 of any given gem (or four for any given active party, but that can involve lots of annoying gem shuffling). A few gems can’t be bought and will only be quest rewards and/or in chests. The STR/INT +10% for 10 combos is pretty solid, especially the 200% buff one. Green Heart in particular can get a 10% buff almost every single attack she fires off, and against bosses you’ll very quickly hit the cap. They’re pretty much always preferable to the straight 10/25% STR/INT buffs unless you rarely get combos over 10. All current DLC is free in the English version. There are three sets of free starter items you can get that are just regular consumables, and three sets of different colored leather cat suits for the characters. Which seems slightly ill-fitting for a fantasy medieval world, but perhaps more fitting for an MMO. Work Very In Progress (WVIP), if there’s a specific item you know about or need to know about let me know, I’m just making this as I go along. Most lower level drops come from multiple enemies while most high level drops come from bosses. Multiplayer is usually the best way to guarantee a specific rare drop. Being a (simulated) MMO, 4GO largely ditches the separation of side quests and main quests. You pretty much always complete all the early quests in a new quest rank, then fight a boss quest, then take a rank quest to progress the story each time. Sometimes events in town or in dungeons must be finished to unlock new quests. 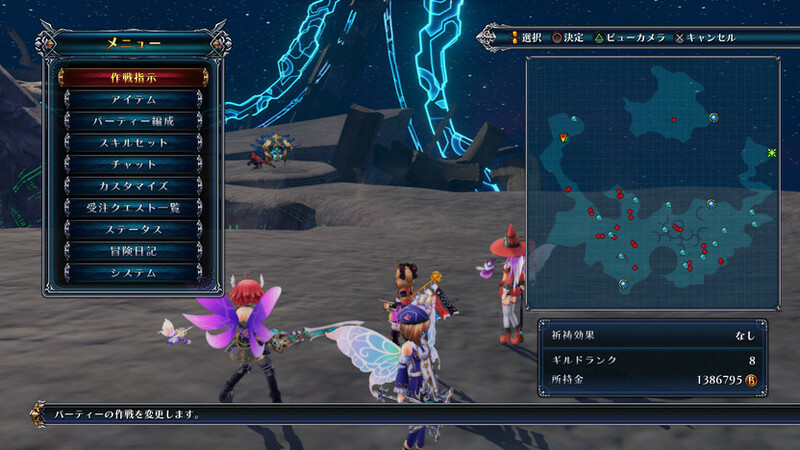 In typical Neptunia fashion, you’ll want to view any and all events that show up with a [!] sign. Just do all of the quests you get and you should progress pretty easily. Do all the monster kill quests, explore every new map defeating all the enemies as you go, talk to everyone in town, and sometimes you’ll need to enter the church for a cutscene. If there’s any specific sticking point let me know and I’ll update this info. This is the first quest rank that’s a little unusual. First complete all the Rank 4 quests you’re given, then you’ll get a boss quest, then another boss quest. After that you should get some Story events in town (look for yellow [!] boxes), then it’s off to the Sea of Trees for the Rank Up quest. After that there’s 3 new quests you’ll have to take after this to fully finish up the rank up quest, just do all the quests like usual and you should have no problems. For the Rainbow Stone quest, the stones are in preset locations not random, so you’ll just want to scour the whole cave a single time to get them all. Welcome to Rank 5, check out all of the new items in the stores! Of particular note is the first set of new armor in quite some time. Progressing the story just a bit more will finally get you some new characters (no boss fight, just get ’em ASAP). From now on it’s mostly story and very little that can go wrong other than losing fights. Note your new characters start with all top tier magic, but will take a little while to learn all their physical moves. Try them all out, they’re all very strong. Also get ready to be disappointed by how much Cyberdimension Neptunia references Sword Art Online instead of .Hack! Once the story events calm down, as Vert will helpfully note, you’ll want to finish up all the undone Quests you have to progress the story again. For the first time in a while you’ll fight a fairly hard boss once you get the Deep Purple quest. Make sure you’re prepared, but it’s not insanely hard. Most of the other bosses lately have just been pushovers. The Rank Up quest boss is also pretty difficult mostly due to dealing high damage in a wide area that can quickly KO your allies. Don’t forget to use the Goddess’s tier 4 magic to deal crazy Break damage. 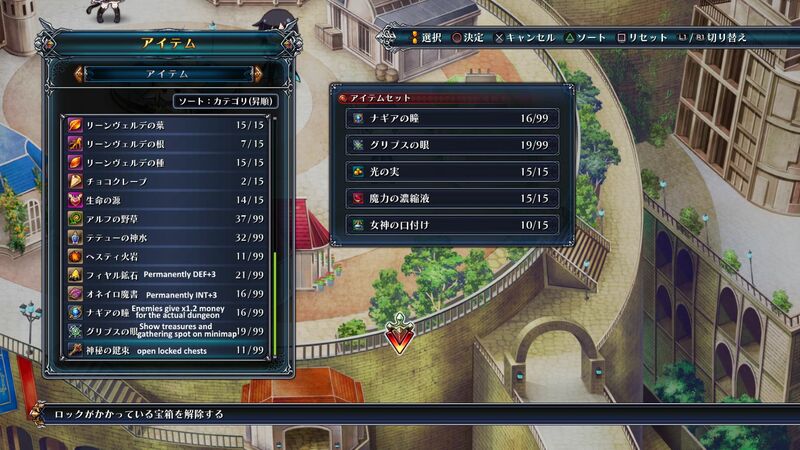 Quest Rank 6 is mostly heading through the new “other world” maps that take place in the sky. Take all your quests, go through each map and beat the boss there and you should progress and unlock another map. After defeating the Minotaur you can get a boss quest to refight him in the firefly forest, and after the knight you get a quest to refight him in the tall corridor. Finally you should get a yellow Guild Rank Quest for rank 7. Head to the tall winding Corridor map. Now you get a crapton of boss and monster quests, and the whole world is open to you. You’ve beaten Cyberdimension Neptunia (for real this time?) but there’s still lots to do. I think it was rank 6 or 7, but if you’re stuck on a quest for “Phoenix” at the “crater” (the rewards are a sword for Vert and a gun for Uni), you might have higher level quests that are overriding the boss. You’ve got to defeat Dead Ring (the blue Red Ring of Death dude with the swords) to clear the quests, then turn them in but DON’T take the replacement quests, then go to the Crater boss again. The phoenix should be there. The story is pretty much done but you’ll get a few more scenes. Basically we’re mopping up a bunch of new boss quests, mostly at the last 4 dungeons. At this point you should be in the home stretch to get the Platinum trophy even if you weren’t trying very hard to get it. Cyberdimension Neptunia is less multiplayer focused than Blanc vs Zombies. 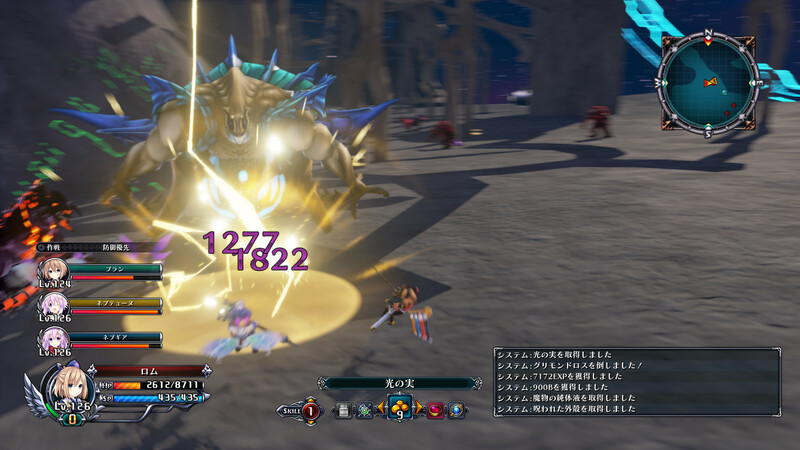 Multiplayer consists of selecting a specific boss-quest (exclusive to multiplayer, but they’re reused bosses from the main game). Gameplay is slightly different in multiplayer. 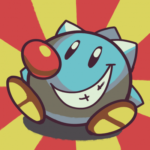 Auto-revive gems do not work and any KO’d member will simply be kicked. If the host is KO’d the game will end for all players, so be extra careful. 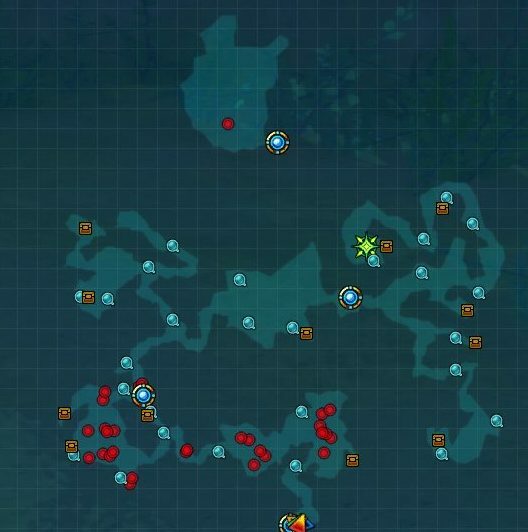 Starting position and which enemies on the map are different too. Dramatic camera angles for EXE drive attacks are disabled. In multiplayer you’ll want to play it a bit safer than the main game, since potential lag will make blocking and healing in a timely manner harder. Try to avoid glass cannon builds and equip some more defensive gems. If you’re a healer, spam weaker heals rather than hoping to land a 100% heal right when it’s needed. If you have full party buffs try to keep them up at all times. Certain full party items can be very nice to use. Multiplayer quests, especially Rank 7 and 8, often drop rare materials useful for upgrading the best equipment in the game. Your alternative is usually an uncommon boss drop, so these are far more reliable if you can get a party together. A town so friendly the name wishes you well. Note that despite there being a manual save in the Cathedral, Cyberdimension Neptunia autosaves every time you enter the town anyway. Get blessings, an almost entirely redundant way to save the game, and the usual CG gallery is here. The music menu was moved outside to the Minstrel. Always at least get the free rando blessing so you get the 50 blessings trophy sooner. Expensive but very important, Gems are basically your accessories this time around. You only need a max of 12 of any single item since there’s only that many characters. 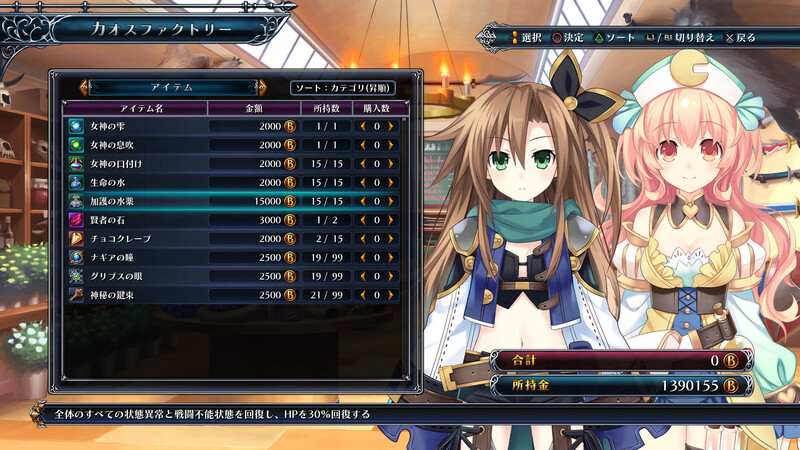 Peashy and Plutia sell most of the cosmetic items in Cyberdimension Neptunia. The prices seem high early on but quickly get very affordable. Iffy clearly named this one. They have better-than-stock armor/weapons you can buy early on, and a selection of expensive but powerful consumable items. Most importantly they have the auto-revive Philospher’s Stone and the Mysterious Keyring needed to get into Green Chests. Every Rank or so new weapons/armor will come in stock here. Here Tamsoft forges weapons with her massive, round, easy to handle hammer. Upgrading weapons and armor works in a way that a lower-quality item that’s been upgraded more times is generally more powerful than a higher quality item. Most of the best gear, whodathunkit, requires rare materials; the Multiplayer Quests are generally the easiest ways to guarantee these without hoping for random drops. Not much to note here other than there’s nothing (of value) that’s missable. Earlier Boss Quests might become unavailable as new bosses replace old, but you’ll always be able to finish everything and get the platinum trophy. No weird True Ending requirements either! For some reason the tutorial has it’s own building. The first area in Cyberdimension Neptunia, there’s not much you need to come back here for other than the Green Chests and occasionally a new Boss will spawn here. Nice of the princess to invite us over for a picnic, eh, Logi? You get access to this area long before you’re able to easily deal with the monsters, but you can still scour for treasures and Gather Points. By the time you really need to come here for the story it’ll be quite manageable. This place also has the first Metal Dogoos you’ll find, which are good for grinding but take a while to kill. The trick is to Break them then they’ll die almost instantly but it still takes a while. These aren’t very useful or necessary to grind on for too long, there will be better ones to use to get to level 99+ later. There’s some fun one-way shortcuts around here. Feel free to try to jump off any cliffs/etc you see in the game, it’s impossible to hurt or trap yourself doing so. As a heads-up, by now it’s cheap enough to get Keyrings to unlock Green Chests you should really be doing so and clearing every dungeon of all Green Chests as you play. Note the first time you visit this area in the story there will be no chests. Enemies listed are only the permanent residents, not the stuff that shows up the first time. About time for new weapons, isn’t it? Bring 8 keys here, you’ll need them to get everyone’s gear! These weapons might be slightly weaker than the “sweets” weapons, but they’ll be significantly better after their first upgrade. I wonder what this could possibly be a reference to. Like the Sea of Trees, the first time you visit this place the Treasures (and even Gather Points) won’t be available. The enemies will also change. It’s already time for new armor?! The CPU’s best armors are all here. Use the Goddess’s magic on the Big Dogoos to Break them quickly. Watch for the huge attack Cheetah makes just before it’s HP runs out. Also, you can stop stocking up on Mysterious Keyrings before visiting new maps; no more Green Chests after this! And here’s the rest of the best armor in the game, for the Candidates this time! Being the final (?) area and all, it’s time for the ultimate weapons in the game! Scour every chest of course. The enemies here are surprisingly strong. Not too bad, but you might find yourself taking more damage than you’d expect, so be aware of that. Also with Unusual Timber and access to this boss, you should have access to almost everything you need to farm for any Armor or Weapon upgrades you like. While it’s not a very grindy game unless you really want it to be, there’s a couple of relevant places to grind levels or materials. Metal Dogoos and Huge Metal Dogoos are generally your best XP source. They’re extremely slow to kill but very weak attack-wise. The Multiplayer is where you’ll find ensured drops of the rarest materials needed for weapon and armor upgrading. Assuming you can even get a team of Randos together or even just beat the boss alone through sheer strength, it’s generally much preferred to play a multiplayer quest with the item you want listed as a reward than hope for a drop from a singleplayer boss. Monsters can be respawned without leaving the map by leaving and re-entering their spawn-trigger zone. Press Options to open the big map and walk around until you see the enemies (red dots) unload from one area and reload into another. This way you can quickly rack up KOs on enemies even when a map otherwise doesn’t have enough to clear in one go. NONE! HAHAHAHAHA! Praise the goddesses, we’re free at last! As a general note, trophies are very easy in Cyberdimension Neptunia. It’s not necessarily a fast platinum because beating Cyberdimension Neptunia still takes 20+ hours, but there are no missable trophies, no RNG trophies, no required extra playthroughs, no multiplayer trophies, and no grind trophies. 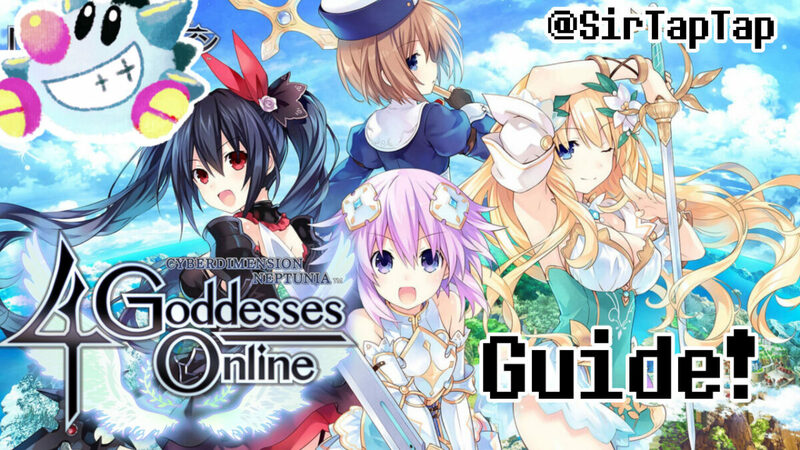 Which might honestly be a first for a Neptunia title! *actually for some reason there are no Ancient Dragons in Cyberdimension Neptunia despite being it a very thematically appropriate game for them. Right around beating Cyberdimension Neptunia these will all be very much within reach. Big Metal Dogoos are good experience (you have to break their guard first then they go down instantly), and so is playing high rank quests online with a team of level 99s. No quests are missable. If you can’t solve a lower Rank Boss quest, try finishing and not re-accepting higher rank quests. Certain quest bosses overwrite lower order bosses, making quests temporarily impossible. You’ll probably collect all of these while just doing the story, nothing hard here. These are all super easy. You got all the MacGuffins in Cyberdimension Neptunia! CPU Candidates have logged in! I don’t even think it’s worth a pizza! That’s right, IFI somehow made this title even more awkward than it was in the Japanese release’s Engrish. The English version of Cyberdimension Neptunia seems to have introduced a crash bug due to a memory leak in Dungeon areas. I haven’t encountered it myself, but it can happen in dungeons and causes your FPS to slowly drop until 4GO crashes. Not lingering in dungeons should help but I’m not exactly sure what causes it; I haven’t experienced the bug at all but a friend seems to get it fairly often with normal play. Remember Cyberdimension Neptunia auto saves every time you go to Wishuel. More exploit than bug, you can cancel most animations into other animations in 4GO. With Nepgear specifically, this allows you to fire her normal shot much faster than normal by rapidly mashing attack and triggering your guard. This works with other attacks, but it doesn’t appear exploitable for characters other than Nepgear. AzureValkyrie and Walt The Dog in my Discord for help figuring out some things in the Japanese version of Cyberdimension Neptunia.